Is there a better alternative to Roster? Is Roster really the best app in Developer Tools category? Will Roster work good on macOS 10.13.4? 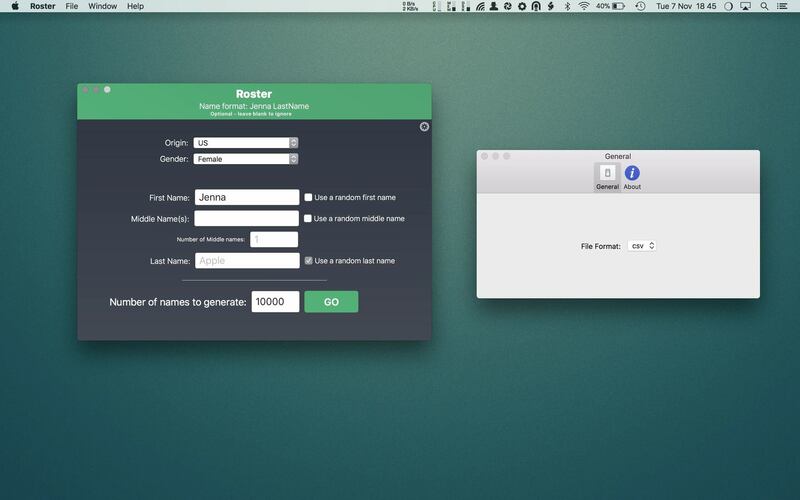 Roster lets you easily create fictitious list of names. Useful for character creation for that novel you're writing. Enter a few key variables and Roster will instantly generate a list of character names for you! Roster has been built from the ground up, with ease of use, and intuitive use in mind, you don't need to be a rocket scientist to use Roster. Roster needs a review. Be the first to review this app and get the discussion started! Roster needs a rating. Be the first to rate this app and get the discussion started!